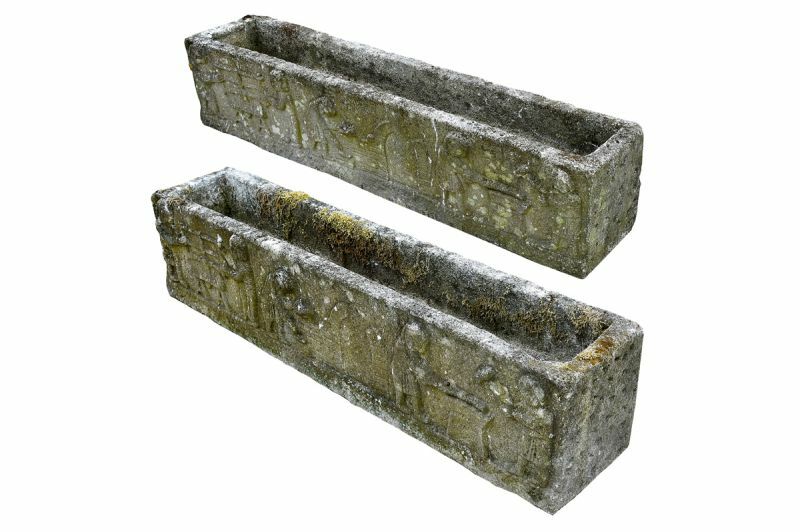 A pair of stone troughs with medieval workmen carved onto the sides. The exquisite detail shows these workmen carrying out carpentry, stonemasonry and forging. 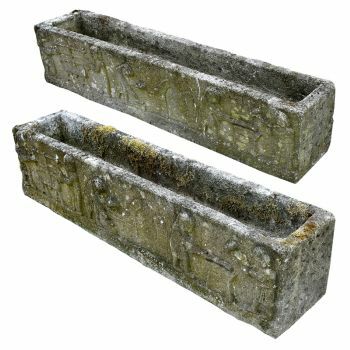 Wonderfully weathered, these would make a great addition to any garden.